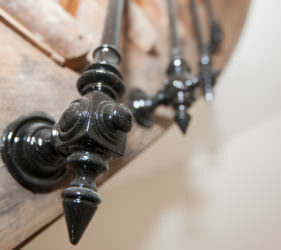 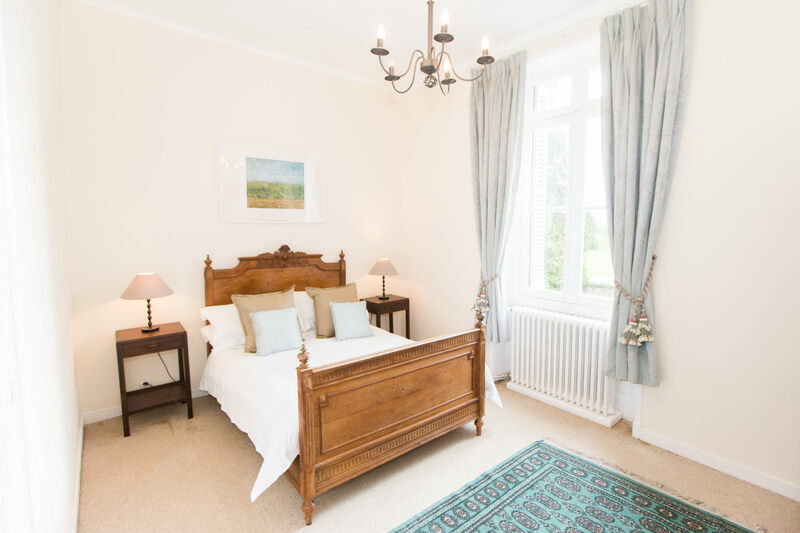 Our 19th Century Chateau, which sleeps 12-14 is elegantly furnished and fully equipped to the highest standards. 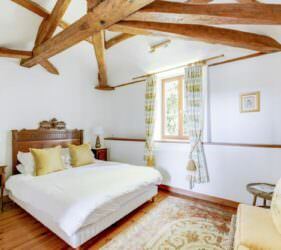 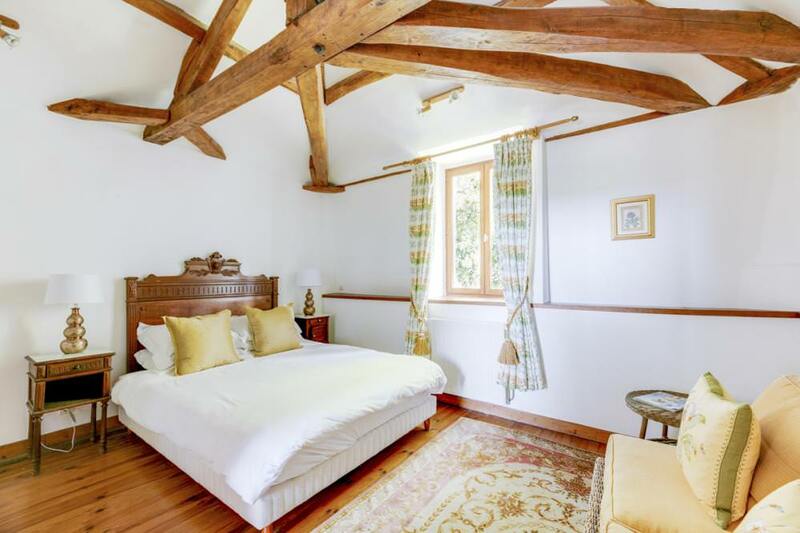 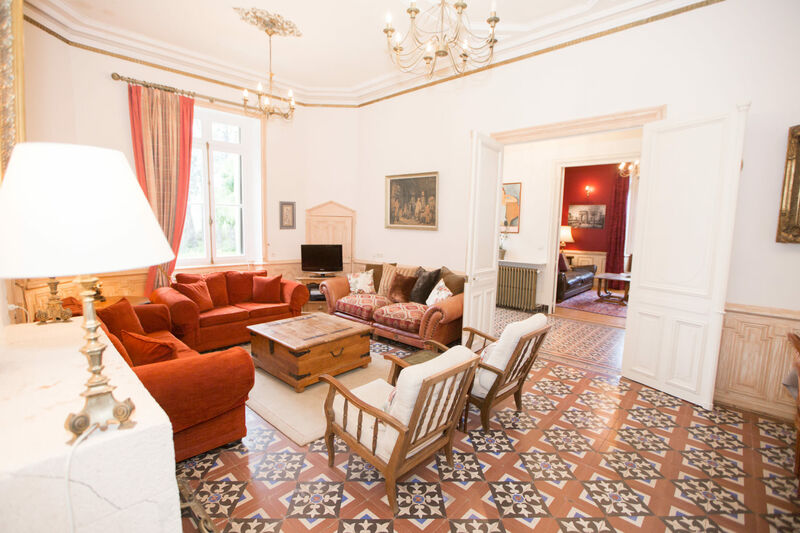 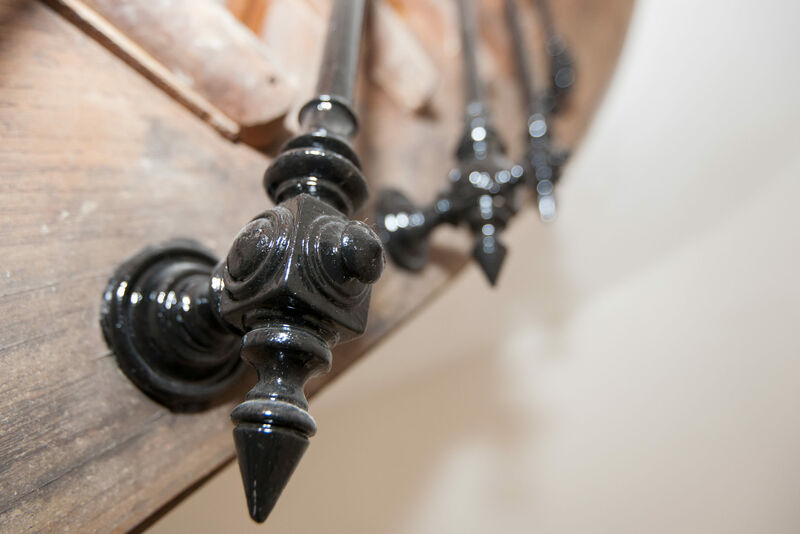 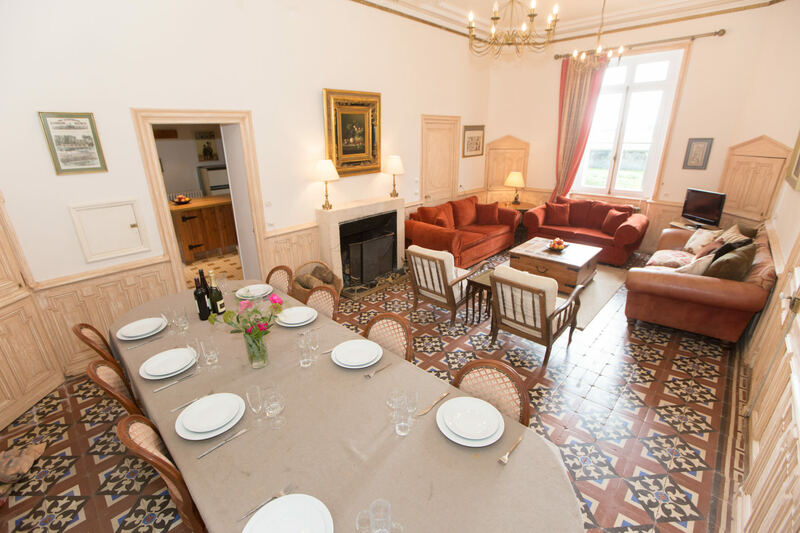 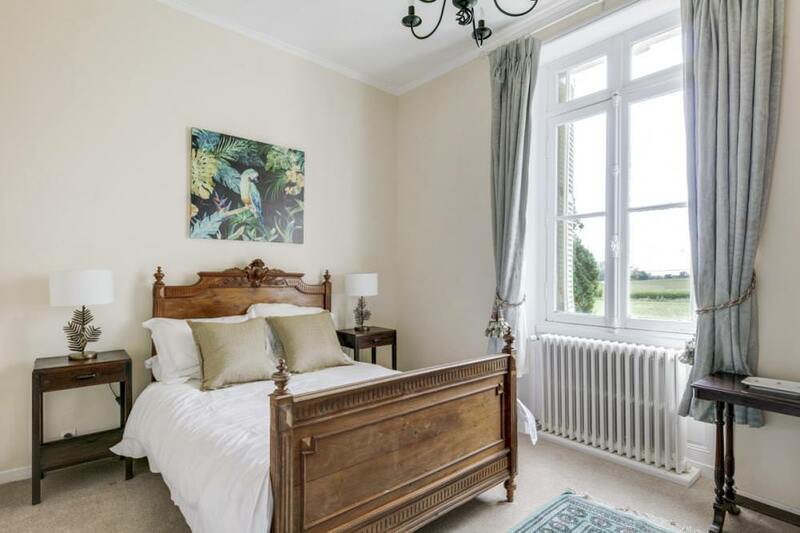 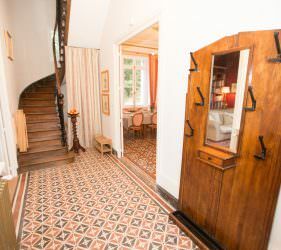 Our 19th Century Chateau is elegantly furnished and fully equipped to the highest standards, whist retaining its original charm; with tiled floors, ornate ceilings and period woodwork. 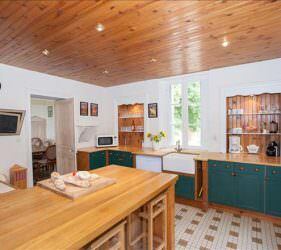 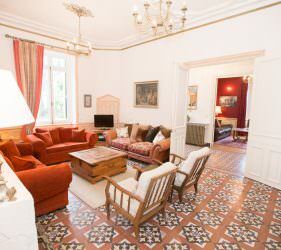 It offers spacious and luxurious accommodation, ideal for large groups of family or friends. 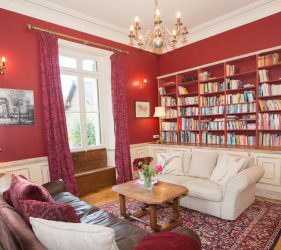 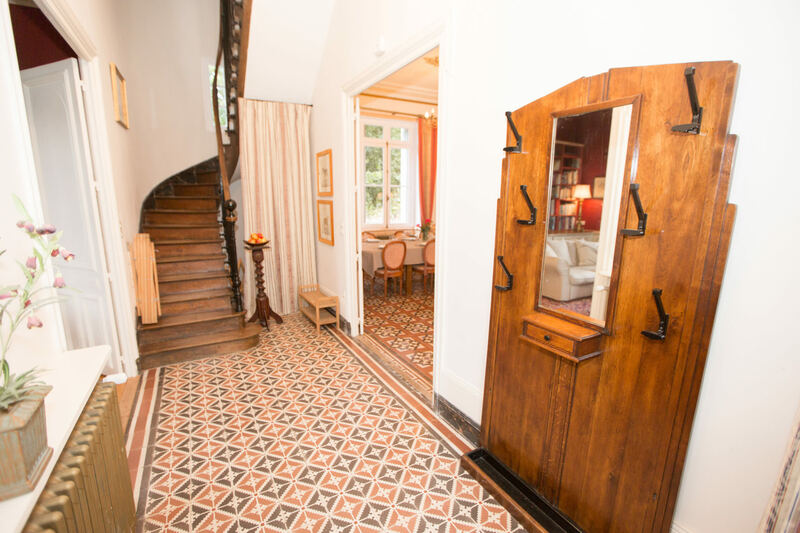 The welcoming entrance hall leads to two spacious period reception rooms; Le Salon, with TV/DVD (including UK satellite “freeview” channels) with large dining area and the Library with an extensive range of books/games for your enjoyment and relaxation. 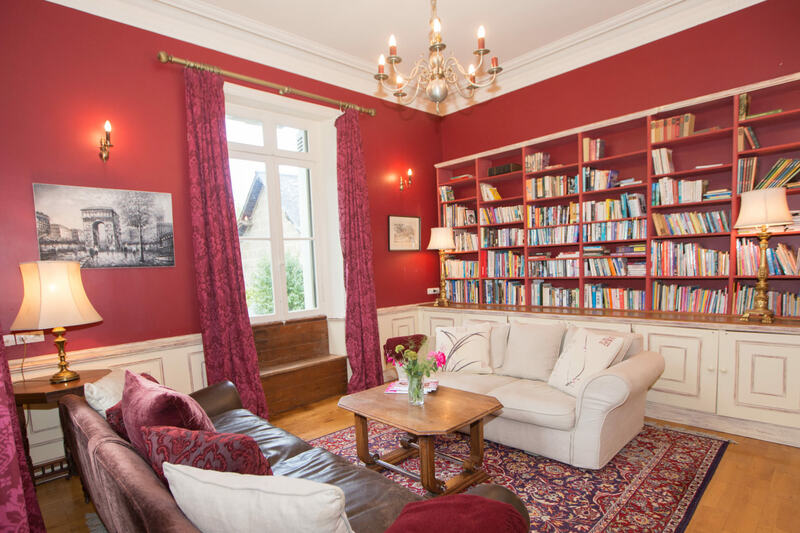 We also provide a selection of children’s books/toys for the little ones. 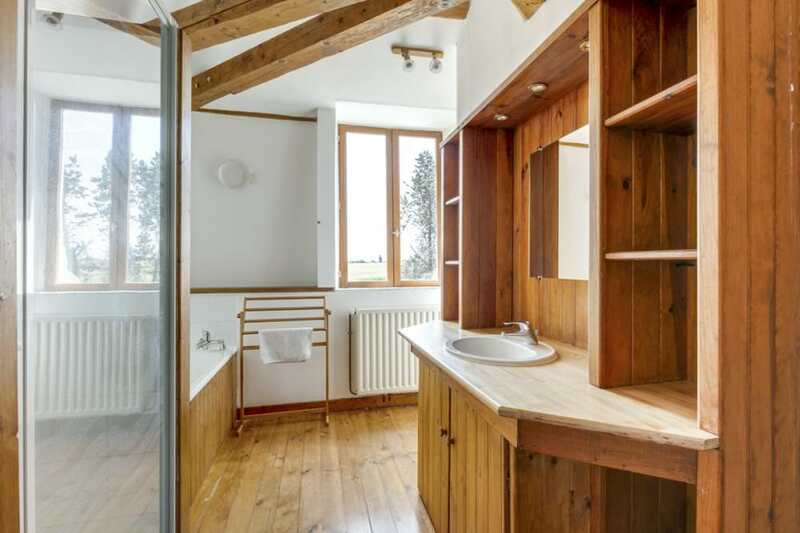 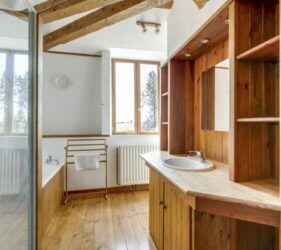 Attached to the kitchen, the Utility Room has a washing machine and ironing facilities, an additional fridge freezer as well as a ground floor cloakroom. 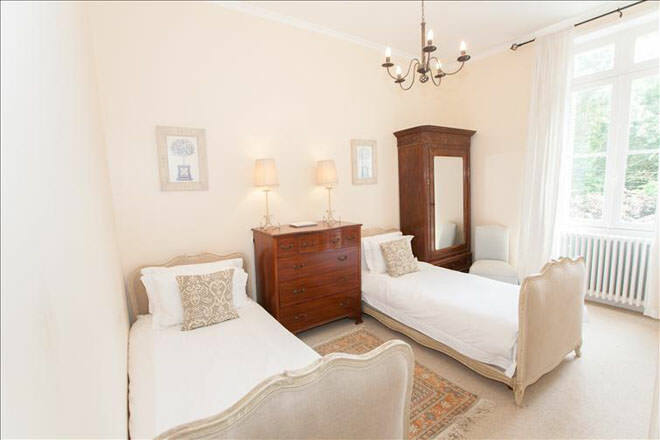 On the first floor, there is a beautiful Family Suite with ensuite bathroom. 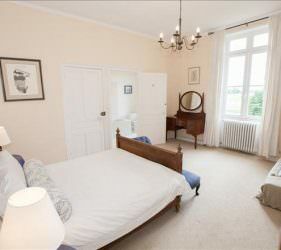 This has a double bed and sofa bed, suitable for children. 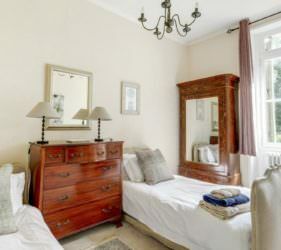 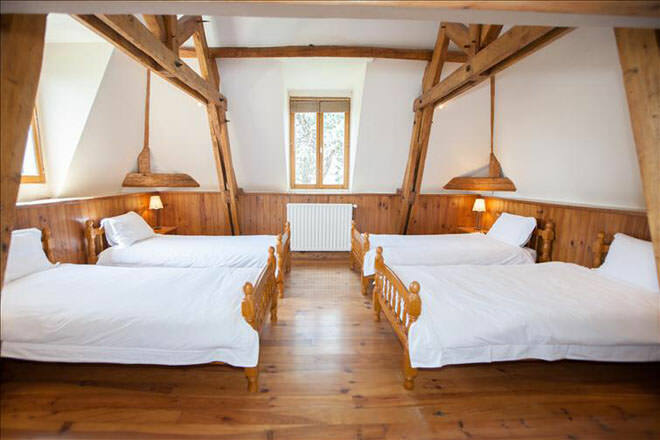 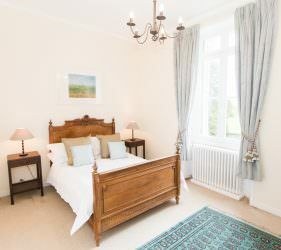 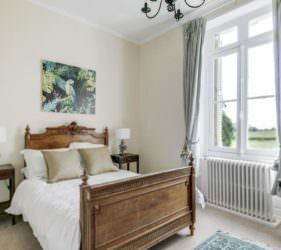 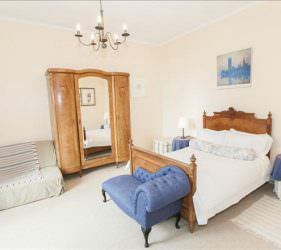 There is also another Double Room as well as a Twin Room; both with ensuite shower rooms and comfortably furnished in classic French style. 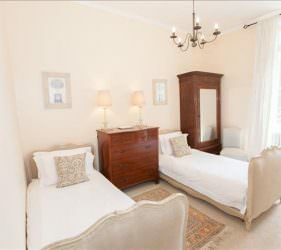 The top floor has a stylish King Bedroom suite with ensuite bathroom, large jacuzzi bath and separate shower. 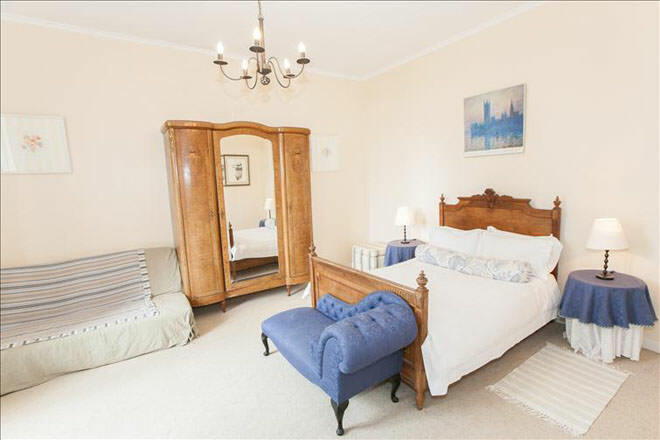 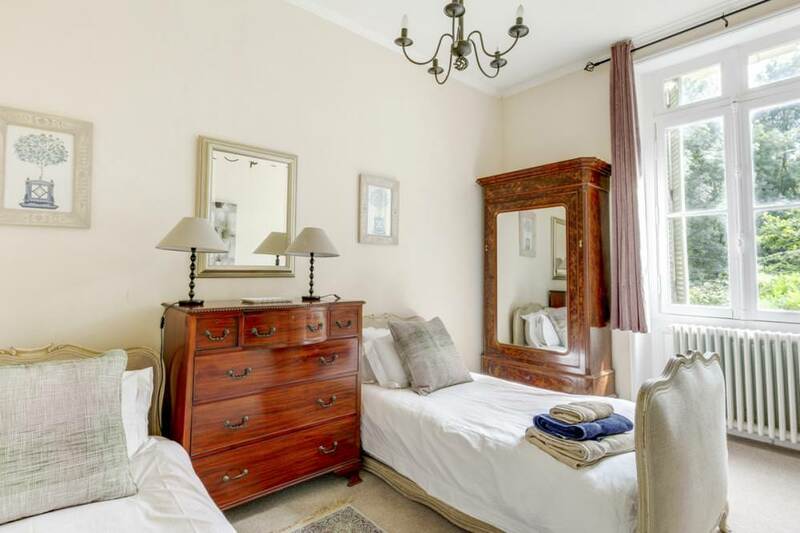 Alongside this bedroom, there is a spacious 4-bedded room (single beds) with separate ensuite shower. 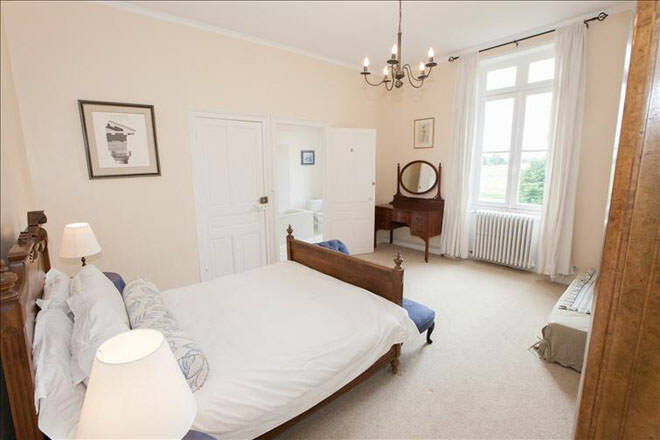 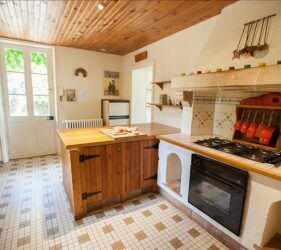 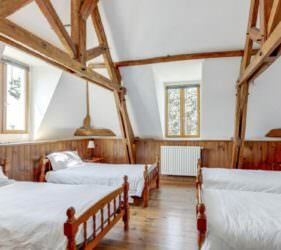 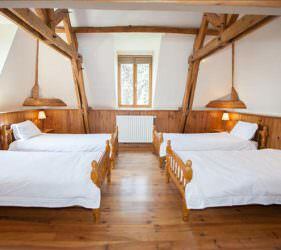 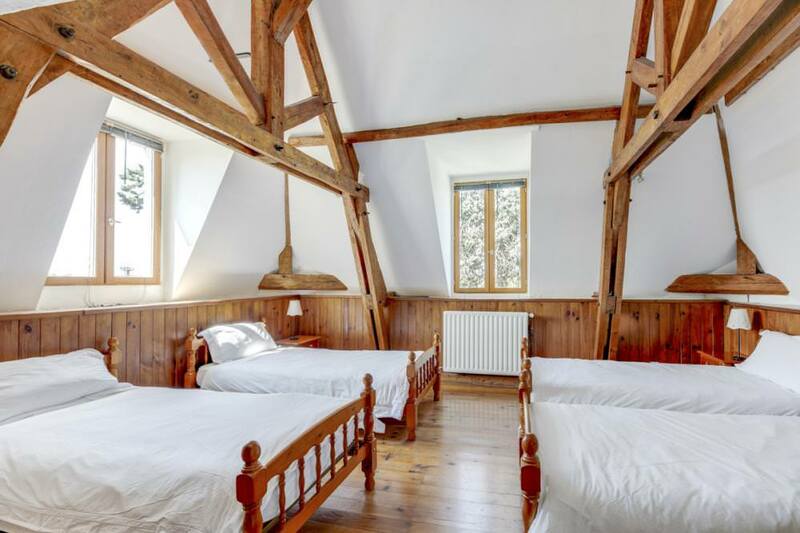 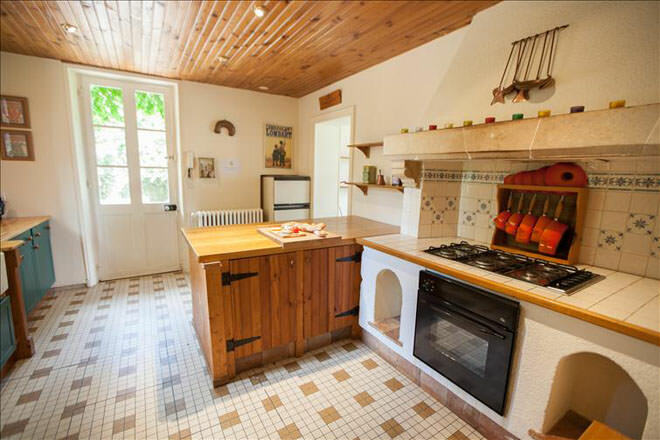 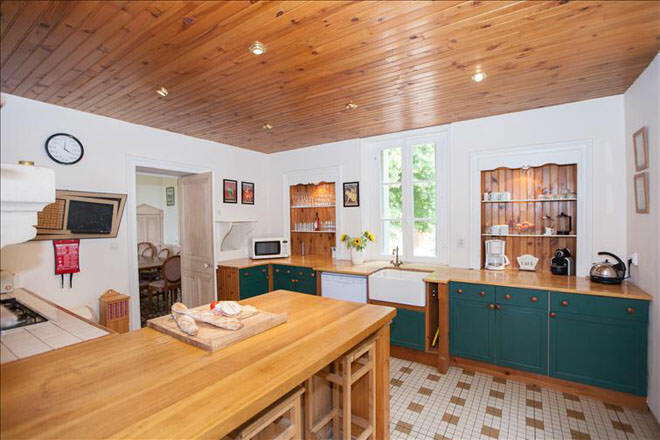 These rooms are ideal for families as the rooms are close yet separate. 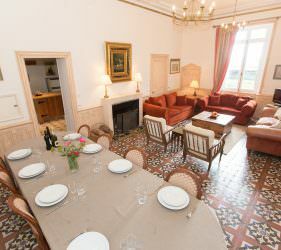 The Chateau’s extensive grounds offer superb private space exclusively for the use of Chateau guests. 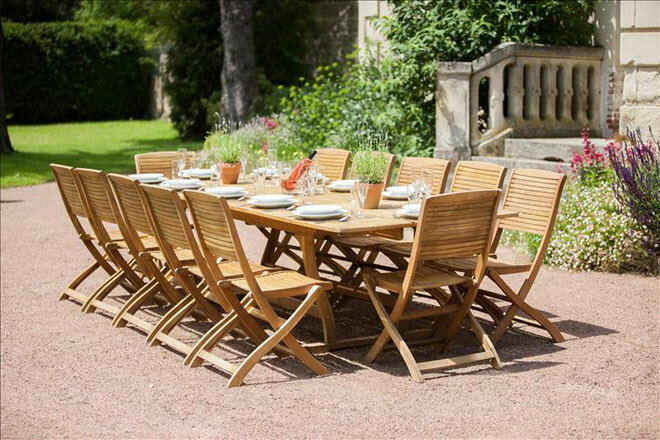 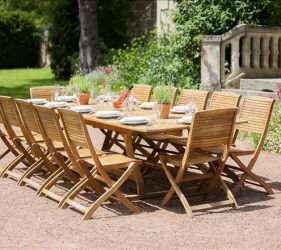 We provide plenty of tables, chairs & sun loungers as well as BBQ facilities for “Al Fresco” dining.